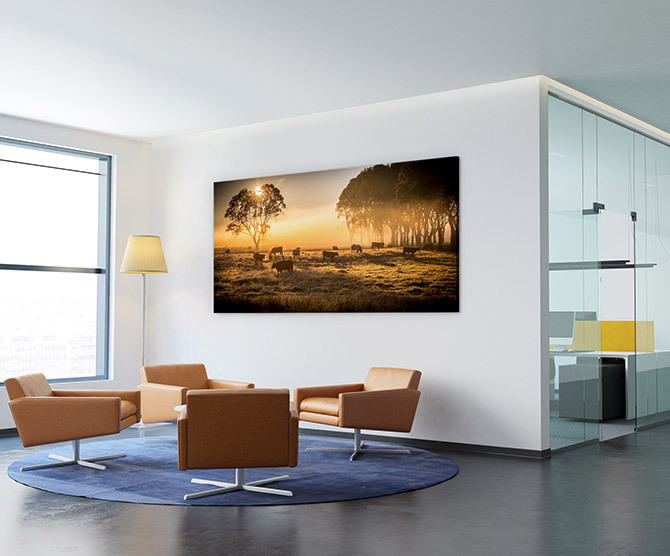 One of the easiest ways to update a corporate office or industry workspace is with eye catching and daring artwork. As a place that most of us spend nearly forty hours a week in (sometimes even more), we have a right to look at beautiful things. Nobody enjoys staring at the same grey walls, every single day. This can affect staff morale, productivity and wellbeing more than you realise. With simple updates, such as fresh green plants, brightly coloured furniture and emotionally rousing corporate art, you’ll soon have an office space that makes people happy. Kaylyn Jeffrey from Service.com.au says: ‘The most important factor in making the most of your office space is to decide on a design theme based on the culture and design of your own company’s unique branding. 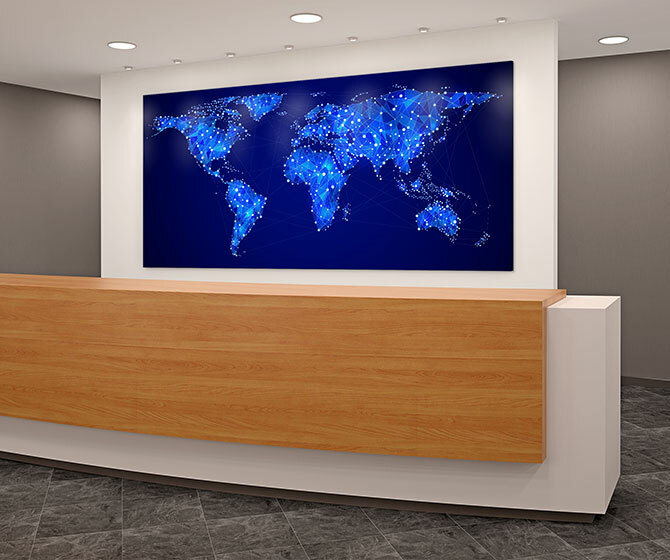 If you are a corporate legal or accounting firm, you’re going to want to go for upscale, sleek neutral designs involving chrome lamps, black leather seating and glass tables. 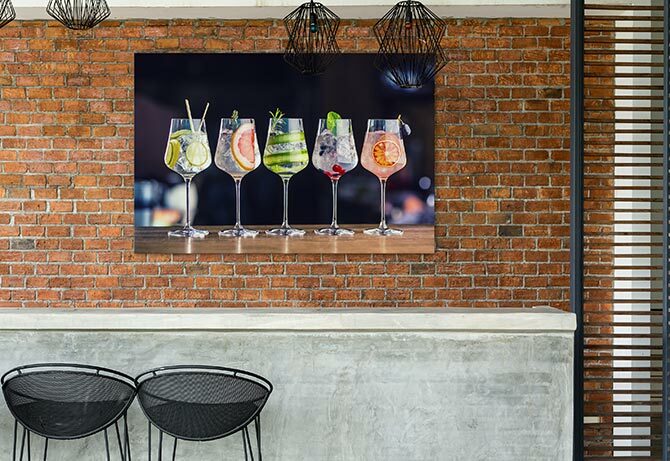 For a trades company, you’re going to want to go for an artistic display of your previous work to market completed projects. And for tech start-ups, try using your decor to reflect your innovative culture. Our country is renowned for its agriculture. With more than 325,300 people employed in the industry (as at 2015), it’s a steadfast sector that helps our country flourish. Likewise, Australia’s viticulture scene is also nothing short of spectacular as the world’s fourth largest wine export. We make over 1,186,343 tonnes of wine every year. Cheers! That’s a lot of wineries and corporate agricultural offices with plain walls going to waste. Instead, why not fill the space with stunning art that showcases the natural beauty of our country? A big part of the Australian culture is finishing work and heading out for a drink, some nibbles and to socialise. Almost everywhere you go, you can find a local bar or pub that offers a place of relaxation and hospitality. With huge amounts of money being thrown into refurbishments of old pubs, particularly in capital cities, the common punter will no longer find daggy bar décor acceptable. They want leading edge décor and modern design trends, such as the industrial or hipster look. Having the perfect artwork is no exception. Appeal to the Insta crowd with trendy photographic art, like ‘Party Of Five’ above. Is there anything more satisfying than stepping into a luxury hotel lobby and seeing eye catching artwork? 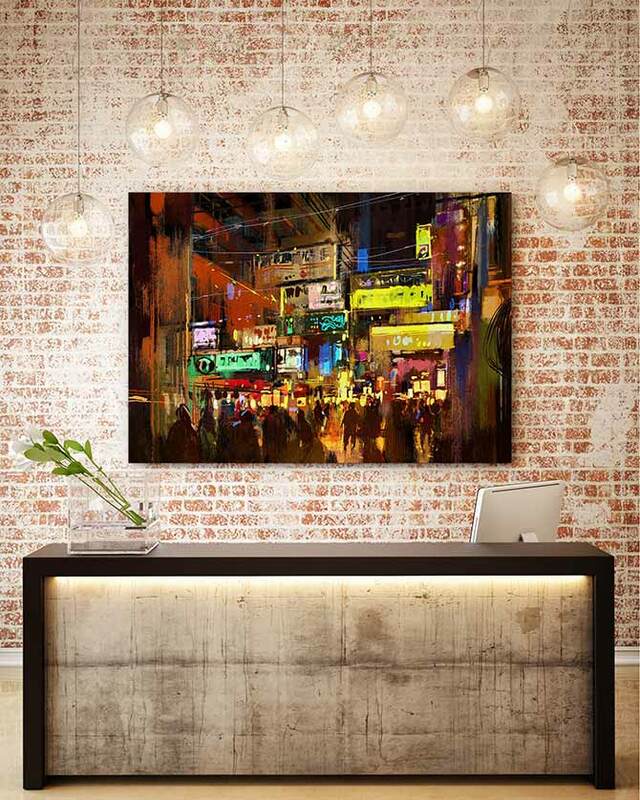 Funky, colourful art that features a local hot spot will set the tone for a guest’s stay and showcase the lavishness of the hotel. Not sure where to start? 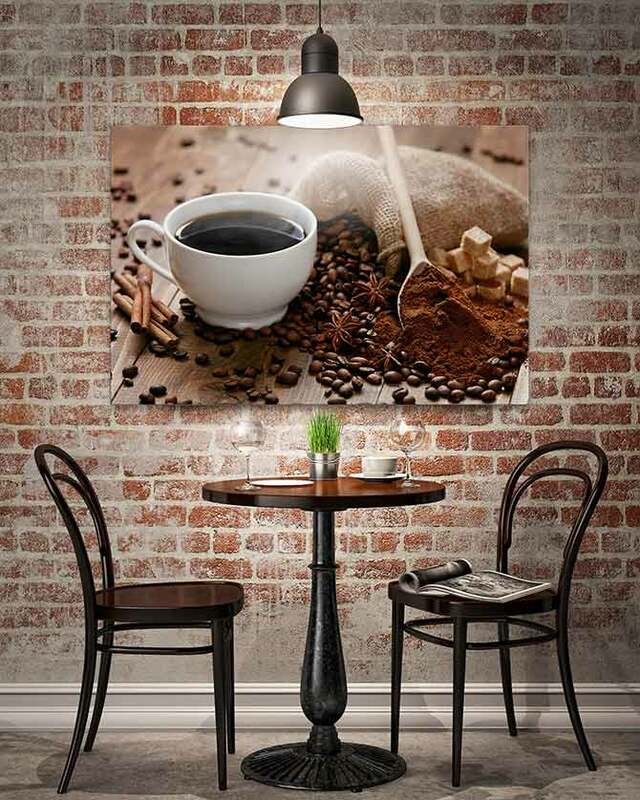 Explore these corporate art ideas for a wide range of industries. Nearly two per cent of Australia’s workforce are employed in the mining industry and it’s the second largest industry in Australia. With many offices and headquarters around the country, it’s essential to keep staff morale elevated. Just because the mining industry may be thought of as “in the field”, it doesn’t mean offices can’t be swanky. The inclusion of carefully picked artwork strengthens the link for those who are based onsite. 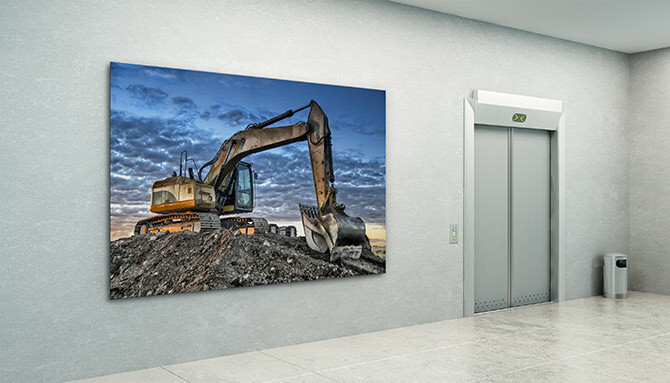 For example, the luminous ‘Excavator At Dusk’ makes for a classy addition to any lobby, foyer or common space. Another industry that you don’t immediately associate with beautiful corporate office space. Energy and utility companies across Australia are thriving and employee many of us; nearly 137,000 of us to be precise. 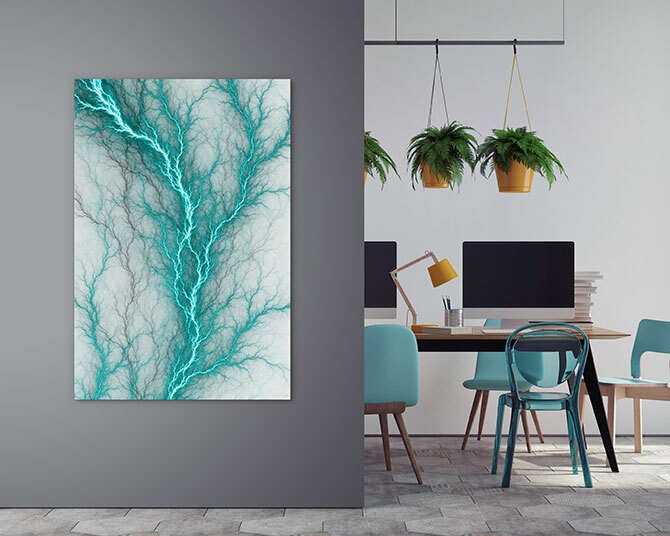 An industry related print like ‘Global Network’ might inspire your team by reminding them of the end result of their efforts. As a consistently flourishing industry, technology services and information media needs to feed the imagination and brains of the workforce. Technology workers often get stereotypically pegged as “nerds” or “geeks”! But we know the truth— they are just as aesthetically invested as anyone else and need inspiring corporate art to break up the monotony of staring at a screen.